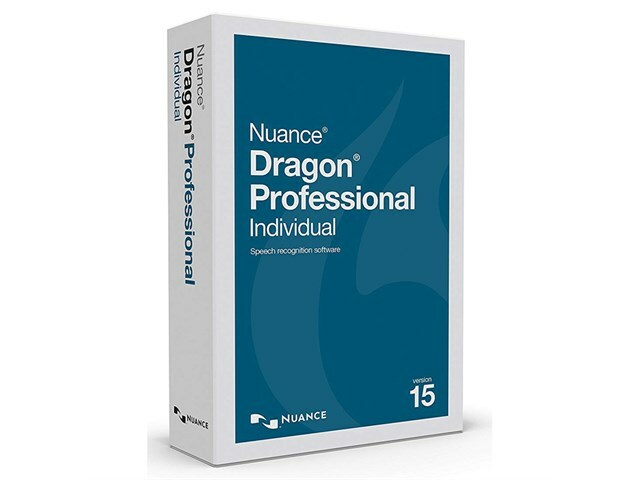 Dragon Professional Individual V15 is a smarter next-generation speech recognition solution. Leveraging the latest in Deep Learning technology, Dragon constantly learns and adapts to your unique voice and environmental variations - even while you’re dictating - to deliver new levels of personalised accuracy & productivity. Please note: downloadable licence is non-returnable. Robust transcription, powerful customisation & the ability to seamlessly sync with the Dragon Anywhere mobile dictation solution extend the benefits of speech recognition. Dragon eliminates barriers to productivity and creativity by letting you interact with your computer by voice. It turns your spoken thoughts into text and your voice commands into action so you don't have to worry about the mechanics of typing and spelling. You can easily switch between keyboard, mouse and voice so you can use the mode of input you prefer for any given task. Command and control your computer by voice for convenience and comfort - launch applications, select menu items, press keys, switch between windows, search the Web, create and send emails and more. 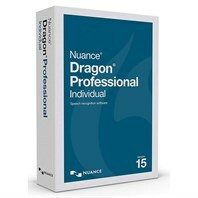 With its new engine, you get optimal accuracy for speakers with accents or in slightly noisy environments and enjoy personalised accuracy; Dragon learns the words and phrases you use the most and can further enhance accuracy with optional advanced training or analysis of existing documents and emails. Dragon gives you robust voice command and control as well as Enhanced Dictation (or Full Text Control), for fully voice-driven editing and command capabilities within many popular business applications that you use every day. Create documents such as reports, emails, forms and notes and zip through computer tasks in record time. It easily learns acronyms, proper names and other unique or business-specific phrases that you frequently use so it captures your unique words the way you want. In addition, you can import and export your custom word lists. Dragon Anywhere is a separate, cloud-based solution that provides continuous dictation capabilities, letting you create and edit documents of any length by voice directly on your iOS or Android device. It adapts to your voice and terminology so you can dictate, edit, navigate and format quickly and accurately within your document - using your own customised words, shortcuts and commands - from anywhere, at any time. With automatic microphone detection, Dragon Professional Individual will conveniently show you which microphones are available for you to use. Because Dragon lets you use multiple audio device types within the same profile, you can easily switch to another microphone while keeping all your personalised preferences for accuracy and formatting. Available to buy as a download, as a boxed copy with a Nuance Wireless Headset included or as a boxed copy without a headset. An Internet connection is required for software download and activation.